2014 BlogPaws Nose-to-Nose Award Winners! Wondering which sessions you might be interested in? 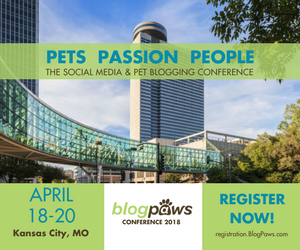 Never attended BlogPaws and want to make sure we can hold your attention (we bet we will)? We’re set on the agenda, but in case of any on site changes you’ll want to refer to the signage and printed program that you’ll receive at the conference for the education session room assignments and more details. There will be a map of the conference areas inserted in your printed program, too. And of course, any questions can be answered at the Conference Registration Desk (in the Medinas Foyer). Meantime, here’s the Agenda >> (Click to view, download, or print). Feel free to print this one out and use each day as a one-pager.